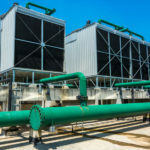 During these dog days of summer, as we beat the heat and humidity, we thought it would be a good time to talk about Dehumidification in Commercial HVAC systems. Dehumidification is the process in which moisture or water vapor is removed from the air keeping the DB (dry bulb) temperature constant. Dehumidification is a psychometric process, which includes dehumidification during the heating or cooling process. 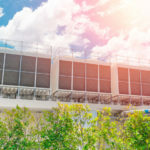 Since we’re in mid-August, let’s discuss the cooling process specifically, which is obtained when the air is pushed through and over coil where either the cool refrigerant, chilled water or cooled gas is passed. Now that the air is cooled, how is it dehumidified? When the air comes in contact with the cooling coil, which is at a temperature below the dew point, it’s DB temperature starts reducing. The process of cooling happens when the air temperature reaches the dew point temperature. Now for the dehumidification: at this point the water vapor in the air starts getting converted into the dew particles due that are formed on the surface of the cooling and the moisture content of the air reduces, which reduces the humidity level. That sounds refreshing doesn’t it? Okay, enough of the science lesson on how the process of dehumidification works, now let’s talk about the benefits of reducing humidity levels in your office, business, schools, hospitals, server rooms, industrial and manufacturing facilities. 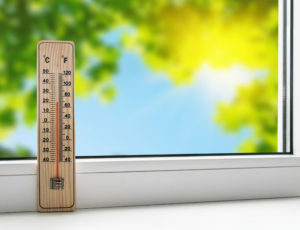 Not only is muggy, humid air uncomfortable and exhausting for us, but it can cause adverse effects on the body after substantial exposure including hyperthermia (over-heating), low energy, lethargy, dehydration, muscle cramps, heat exhaustion, fainting and heat stroke. For those with preexisting respiratory issues, including COPD, asthma, respiratory disease, seasonal allergies and obstructive sleep apnea, the reactions to humid air can be much worse. Why? To make matters worse, humidity levels over 60% can encourage the growth of mold, especially in damp places like bathrooms, kitchens, basements and various manufacturing systems that use water for fabricating, processing, washing, diluting or cooling. Mold is a type of fungus that can cause allergic reactions such as wheezing, rash, red and watery eyes, coughing, respiratory issues, headaches, and fatigue. Long term exposure to mold can cause various ailments including toxic mold syndrome, which can cause a host of physical, cognitive and emotional impairments. 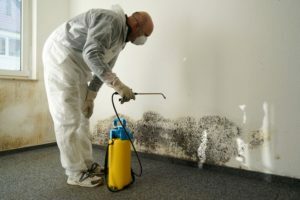 “In a 2003 study by the Environmental Health Center-Dallas, 100 participants were examined in an effort to uncover how toxic mold exposure can affect the brain and lead to cognitive and emotional impairments. After the mold exposure, nervous system challenges were observed in all 100 patients tested. Brain SPECT scans also identified abnormalities in a significant portion of the patients studied.” – Amen Clinics. 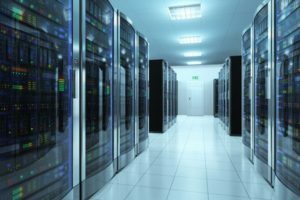 Server Rooms and Data Centers: Computer equipment is essential to most business practices, but maintaining systems that are sensitive to heat, humidity, and dust is a complex process that requires near constant monitoring. Maintaining a stable temperature and humidity within tight requirements is critical to IT system reliability. Monitoring and maintaining optimum humidity levels in server rooms is a complex process because too much humidity can cause condensation on sensitive equipment and eventual corrosion, which could short circuit electronics, causing downtime for any business, as well as loss of vital data. 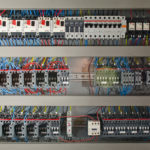 On the other hand, too little humidity in the air can cause static shock problems causing fatal damage to servers and other sensitive equipment, as well as injury to personnel. Industrial & Manufacturing Factories: Production facilities have a lot of moving parts that can be damaged if the humidity levels rise above or fall below recommendations for effective operation. 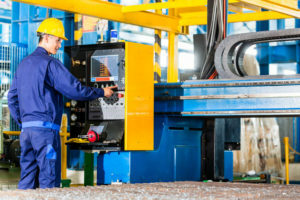 For example, conveyor belts are usually made of rubber, steel or thermoplastic and if exposed to humid environments can rust, expand or deteriorate which can halt the production line. Excess indoor air moisture can cause condensation on equipment, wet floors and saturated electrical panels. Any moisture forming on any water-cooled machines used for plastic injection molding can result in product discoloration or ruined molds. In printing factories, paper may wrinkle, shrink or expand, causing ink application issues. Any manufacturing processes that require drying cycles (examples: food production of spices, cereals, candy or production of recycled rubber mulch) drying times can be longer than needed, slowing production, losing productivity and increasing energy consumption. For any food production, food can easily become contaminated without proper humidity levels, causing compromised food quality and potential harm to consumers. Operating Rooms in Hospitals: Proper ventilation, airflow, temperature, and humidity are essential for successful surgical operations. 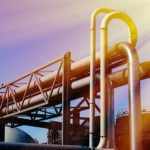 There are strict ANSI, ASHRAE and ASHE regulations that specify ventilation and temperature levels of heath are facilities. 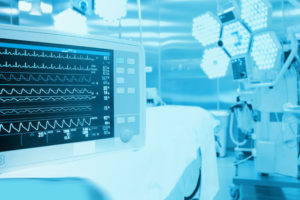 Operating rooms must be kept at a relative humidity level of 20 to 60% and a temperature of no more than 68 to 75⁰F, but most healthcare professionals prefer temperatures below 68⁰F. If the OR is too warm or humid, condensation can collect on surfaces, including the room’s ceiling and various operating equipment. In addition to making the room uncomfortable, this condensation buildup can pose serious risks to patient health. Moisture on surfaces, equipment or utensils can pick up additional bacteria causing serious infection to the patient. Dehumidification and cooling is also needed to counteract the temperature increase by heat-producing equipment in the room, (for example the large overhead lights) to prevent the medical staff from becoming overheating, which can cause fatigue, loss of concentration and even worse, for the surgeon to break out in a sweat which could cause dire consequences to the patient. Operating rooms are also kept cool to slow the rate of bacteria growth and promote the success of the procedure. 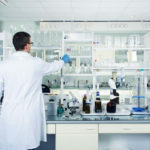 Research and Development Laboratories: In the above examples, performance of equipment is a huge factor for dehumidification. 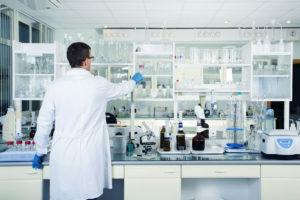 Test laboratories have invested thousands of dollars in spectrometers, scanning equipment and electronic microscopes that do not perform well in humid environments. Humidity levels that are higher than the recommended 45-60% can also cause erroneous results in data and test results. 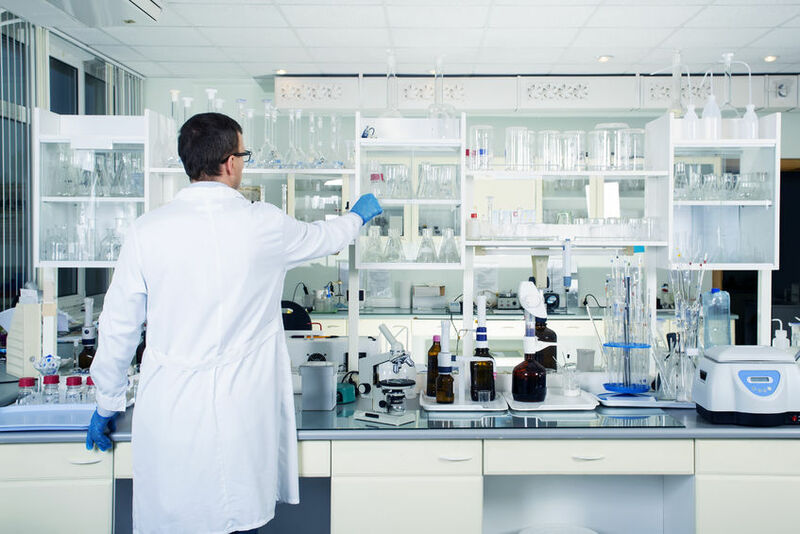 Monitoring laboratory room temperature and humidity is critical from a quality perspective, so we can provide a constant, regulated state of control for equipment and samples for proper laboratory operations. 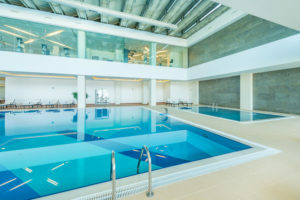 Indoor Swimming Pools: Indoor swimming pools are a breeding ground for bacteria and mold, as well as uncomfortable humid air, causing potential health risks for swimmers and visitors. If left uncontrolled, humidity can damage the inventory, walls and building structure by mold, rot and corrosion. Specialized units are required to monitor indoor pools humidity and temperature levels to maintain safety and comfort of the swimmer, so they do not overheat while swimming nor endure shock to their systems when exiting the water. Sizing a system to dehumidify a pool room has two major considerations. First is the compressor needs to meet the evaporation rate based on pool and spa size, water temperatures and activity factors within the pool room. The second is the air turnover rate or air handling component based on the cubic feet of space. Comfort & Process Solutions of Lexington KY has nearly 20 years’ experience controlling and monitoring dehumidification and cooling levels in server rooms, operating rooms and hospitals, schools and indoor pools, laboratories, and manufacturing facilities in nearly all 120 Kentucky counties. Call Comfort & Process Solutions to analyze your current system if you suspect humidity issues, and together we’ll create a plan of action that is the most efficient process for your specific environment, processes and functionality. We only work with a variety of high quality commercial HVAC brands to provide our customers choices based on budget, existing equipment and long-term use.